« Generational Sayings- My Mom Said it…Now I am! 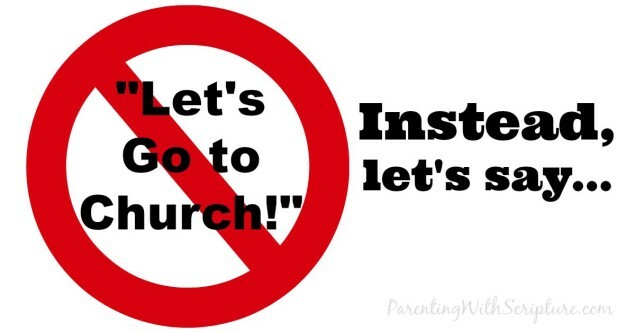 Surprise your kids by saying “We aren’t going to church anymore!” and enjoy the teachable moment you’ve created using the following thoughts as a guide through the ensuing discussion. I bet some of them can figure it out! Our pastor pointed out this subtle difference in wording one Sunday morning and it made me stop and think. We are actually the church wherever we go! Teachable Moments can happen any time and any where. Remember to keep handy your copy of Parenting with Scripture: A Topical Guide for Teachable Moments.